English ivy (Hedera helix) is a versatile houseplant that can be grown in many different situations. Ivies can be grown in hanging baskets, at the base of other houseplants and in pots of their own. Ivy is often trained on trellis frames or wire topiary forms into various formal or whimsical shapes. ‘Needlepoint’ English ivy ( Hedera helix ‘Needlepoint’) grown on a pyramid frame. While most ivies are virtually unlimited in their spread, you can easily keep them pruned to almost any size that you want when grown as houseplants. Small-leafed, slow-growing types are easier to maintain in a small pot. Ornamental ivies have an amazing range of different foliage types. Many ivies have leaves edged, splashed or centered with silver, gray-green, white, cream, yellow, chartreuse or gold. Mealybugs, mites, aphids, whiteflies and scales are the most common insect pests of ivies grown as houseplants. For more information on Common Houseplant & Insect Pest, see HGIC 2252 Common Houseplant Insects & Related Pests. If the area infested is limited you can prune out those parts of the plant. Periodic washing can help prevent many pest problems. Wash plants by dunking the foliage upside down in a gallon of water to which insecticidal soap has been added. Hold the soil in the pot with a cover of foil or plastic. Maintaining cooler temperatures and high humidity will help prevent some of the most common insect pests, but the plant will grow more slowly. Some people develop a skin rash as a result of contact with the plant sap. Wear gloves when pruning ivies if you know that you have this reaction. Most cultivars of ivy grow best in bright light, but not direct sun. They tolerate low to medium light, but growth is reduced and variegated forms may turn all green. To maintain the bright color of a variegated ivy, give it plenty of light. Ivies can be grown with artificial light, or near a north, east or west window. Water ivies thoroughly, then let the soil dry to the touch to a depth of ½ inch before watering again. Although ivies prefer moderate humidity, they will tolerate normal low home levels. Raise the humidity by setting the plants on a tray of wet pebbles or perlite. Do not allow ivies to stand in water. Ivies benefit from good air circulation, and they should not be crowded. Ivies do well at cool to moderate room temperatures of 50 to 70 °F during the day and about 5 to 10 °F lower at night. A good, rich commercial houseplant potting mix will be fine for ivy. They should be planted in a container with good drainage. Fertilize ivies monthly while they are actively growing with a foliage houseplant fertilizer, according to the label directions. Do not use fertilizer when plants stop growing either in the heat of summer, or when temperatures are cool. Propagation is by rooting stem or tip cuttings. Most types of ivy will root easily in water. Repot ivies when the plants become top-heavy or root bound or dry out too rapidly. The new pot should be no more than 1 inch larger in diameter than the pot it was originally grown in. Using too large a pot can cause the soil to stay wet too long and lead to root rot. Ivy topiaries are made by planting a small-leafed ivy cultivar at the base of a sphagnum moss- stuffed wire frame. The plants are kept trained and pinned to the frame. They need to be pruned frequently to keep the shape clear. Sometimes two types of ivy will be grown on a frame to show details, such as eyes, on an animal topiary. Be especially careful to keep the upper portions of a topiary moist. They can also be trained to different shape frames such as circles, hearts, cones, or pyramids. Choose plants with long stems and weave them around the frame. The frame may either be a pre-made one or made from heavy-duty galvanized wire. If making a frame, be sure to extend the legs of the frame the full depth of the pot to give the planting more stability. The American Ivy Society describes ivy cultivars by leaf shape and by plant type if unusual. Leaf shapes are ivy with typical flat leaves that have 5 lobes; heart-shaped which may also be triangular, with 3 lobes; fan shaped are triangular or have lobes pointing forward; bird’s foot with narrow lobes or willow-like leaves; and curly leaves are ruffled, rippled or wavy. Plant types include miniatures, small plants with leaves under 1inch long; oddities, which have unusual traits such as distorted or curly stems or leaves, or bushy upright growth; and variegateds, which have leaves of more than one color, or a color other than green. There are hundreds of cultivars of this popular ivy. It is an incredibly varied group, with leaves from well under an inch to over 3 inches long and in many colors and shapes. ‘Anne Marie’ English ivy (Hedera helix ‘Anne Marie’) has medium green variegated leaves with a creamy white margin. ꞌAnne Marieꞌ has medium green leaves overlaid with gray green splotches with a creamy white margin. ‘Asterisk’ has narrow recurved bird’s foot leaves that resemble an asterisk symbol. ‘Buttercup’ has pale green leaves in shade, bright yellow in sun. ‘Caecilia’ has variegated, curly leaves that are rounded and frilled. They are light green with gray blotches and white edges. ‘Calico’ has 3-lobed small typical ivy leaves with white variegated centers. ‘Congesta’ is an oddity with dark green leaves that are very tightly and evenly arranged along two sides of the stem. It has an upright, bushy habit. ‘Conglomerata’ is similar to ‘Congesta.’ Its leaves are a little larger and wavy on the edges. ‘Curly Locks’ has large, rounded curly leaves with rippled lobes. ‘Diana’ has widely spaced leaf lobes that end in long curved or hooked tips. ‘Duckfoot’ forms tiny mounds of miniature duckfoot-shaped leaves. ‘Fluffy Ruffles’ has small, curly leaves with frilled margins. ‘Glacier’ is a popular ivy-leafed cultivar with silvery variegations and white margins. ‘Gold Child’ English ivy (Hedera helix ‘Gold Child’) is one of the more popular variegated ivies. 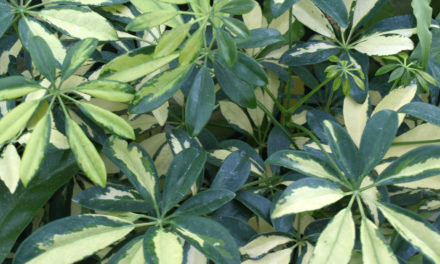 ‘Gold Child’ has soft mottled green leaves with bright cream yellow margins that are larger and wider than those of other gold-edged cultivars. ‘Gold Heart’ has heart-shaped leaves with a bold splash of creamy yellow in the center. 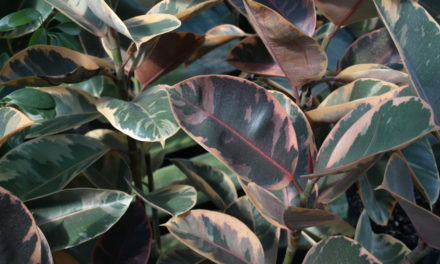 ‘Ingobert’ has grayish dark green typical ivy leaves with creamy margins. ‘Irish Lace’ has star-shaped, bird’s foot leaves that have linear lobes with the margins rolled under. ‘Ivalace’ has very glossy curly leaves that are blackish green in color with wavy, crimped margins. ‘Jubilee’ is a miniature with leaves variegated gray and green, with creamy edges. The flattened branches are covered with densely clumped leaves. ‘Kolibri’ is an ivy-leaf form with silver-white leaves flecked with emerald. ‘Little Diamond’ has grayish miniature diamond-shaped leaves margined in white. 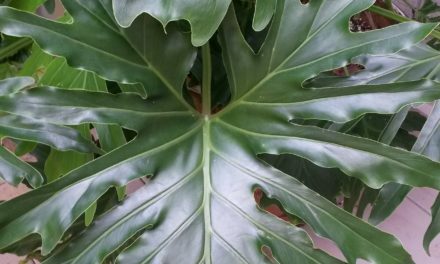 ‘Manda Crested’ Large, very curly leaves on a fast and easy-to-grow vine. ‘Midget’ is a miniature bird’s foot leaf ivy with small, flat, starlike, leaves. ‘Needlepoint’ is a miniature bird’s foot leaf ivy often used in topiaries. ‘Parsley Crested’ has heavily crested, curly round leaves on thick upright stems. ‘Sagittaefolia Variegata’ is a birds foot ivy with white-frosted foliage. ‘Shamrock’ has miniature bird’s foot leaves with deeply cut, rounded lobes. ‘Spectre’ is a unique clumping runner with large leaves, dappled cream and gray. The leaves are curled and twisted. ‘Spetchley’ has very tiny-blackish-green, triangular leaves that are maroon when young. 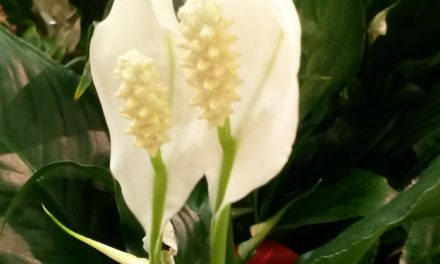 The stems are straight, stiff and very dark. ‘Telecurl’ has showy, large ruffled leaves. ‘Tobler’ has tiny lance shaped clusters of leaves. ‘Triton’ has fan-shaped leaves with twisted lobes that are thickly veined. This unique form ivy is nonclimbing.